Henry Holt and Co. (BYR), 9780805098921, 192pp. When Emily Vole inherits an abandoned shop, she discovers a magical world she never knew existed. And a fairy-hating witch, a mischievous set of golden keys, and a train full of brightly colored bunnies are just a few of the surprises that come with it. 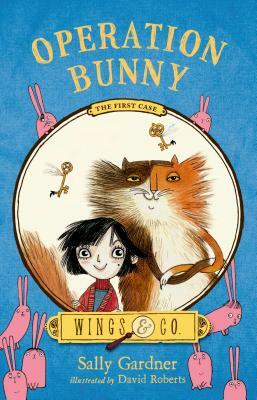 With the help of a talking cat called Fidget and a grumpy fairy detective called Buster, it is up to Emily to save the fairies and get to the bottom of Operation Bunny. Sally Gardner is the author and illustrator of Mama, Don't Go Out Tonight and The Countess's Calamity. She lives in London. David Roberts is a bestselling British artist who has illustrated many beautiful books for children, including the Wings & Co. series. He holds a degree in fashion design from Manchester Metropolitan University, and worked various jobs before becoming a children’s book illustrator.